Two renowned pioneers in the payment industry are coming together to provide a better payment experience to iGaming operators. This collaboration will also benefit to consumers. 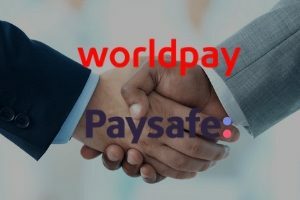 Worldplay, Inc. and Paysafe Group announced recently their strategic partnership. The companies have their sights set on setting a standard in sports betting and iGaming digital payment acceptance. The collaboration also provides security for U.S. gamers. The partnership will make seamless transactions easier while cutting down on operating costs. The collaboration will also permit universal payment acceptance. This leverages Worldpay’s sector expertise and easy credit card processing. The partnership also offers fast-fun payouts and a wide variety of payment solutions. These services are offered along with Paysafe’s proven online gambling and gaming digital payment choices. This includes the popular Neteller digital wallet and the award-winning paysafecard. iGaming is growing rapidly. 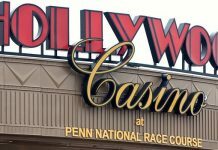 This growth comes after the Supreme Court put the legal power for authorizing sports gambling in the hands of individual states. The market opportunity for iGaming is huge. The American Gaming Association says the sports betting industry in the U.S. is predicted to be worth $150 billion in gross online and offline gambling revenue. 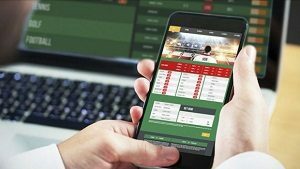 iGaming betting could possibly become the world’s biggest sports betting market. Blending the capabilities of Worldpay and Paysafe will help boost the payment choices of gamblers. This leads to better retention and conversion. As a result of this new payment solution, the two industry leaders will provide efficient connectivity through a single integration point. The collaboration will also lead to services that include cash payment solutions, digital wallets and credit card processing. Services also include push-to-card payouts that are almost instant and ACH specifically for the U.S. gambling market. 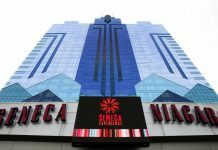 The partnership recently announced that it will be focused mainly on sports betting and iGaming in the U.S. This won’t impact Paysafe’s or Worldpay’s operations in other territories and industries. Paysafe Group is one of the leading end-to-end payment providers in the world. The primary purpose of the company is to empower consumers and businesses to connect efficiently with high-quality capabilities in card issuing. Paysafe also offers solutions in payment processing, online cash solutions, and digital wallet. Paysafe has more than 20 years in the online payment industry. The annualized transactional volume is over $80 billion. The company has around 3,000 employees and 12 global offices. Worldpay, Inc. is also a leading company in payment technology. The corporation has a unique ability to power omni-commerce around the world. Worldpay has an integrated technology platform and offers a variety of services and products. Worldpay processes more than 40 billion transactions a year. The company accepts over 300 payment types, spanning across 146 countries and 126 currencies. Next articleWill Steve Wynn Ever Be Prosecuted for Sexual Harassment?